I joined the c2c Craze! I keep seeing lovely blankets everywhere using the “c2c” (corner to corner) pattern. I kept thinking, “Those look fabulous! 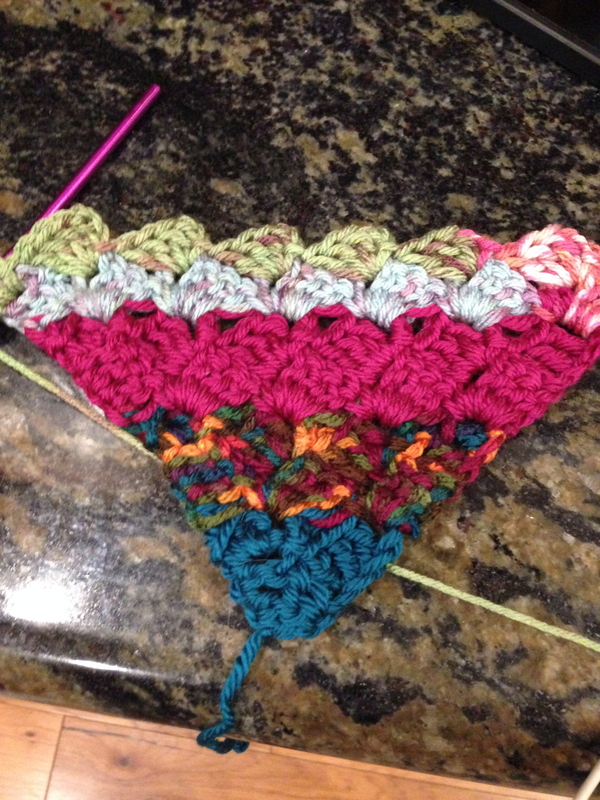 I would love to make one.”, but I resisted because…you know…I have many other WIPs that need to be finished. Really, I should finish one of those before I start right? Time went on and I kept seeing them everywhere: Ravelry, Facebook groups, friends, etc! It was more than I could take!